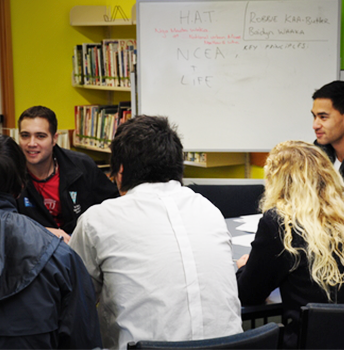 Te Runanga o Nga Maata Waka is a registered Budget Advisory Service with the New Zealand Federation of Family Budgeting Service. Currently we have 12 registered Budget advisors. All our advisors complete comprehensive training and are able to offer quality advice. What is the Budget Advisory Service? The term “budget” refers to a completed budget worksheet. This shows your income and your spending. This is important information to help plan your finances better. Budgeting is using the information from your completed budget worksheet. The first part is a plan – what will we do? The second part is to answer the question – how will we do it? The budget advisory service helps you to set budgeting goals and develops a plan to help you achieve them. Budgeting allows you to take control of your household finances. Although it takes time and commitment, you can do it. Remember, we are here to help you through the process. Importantly, the Budget Advisory Service is a service that is available to anyone. Face to face advice. This budgeting service and advice is free, confidential and non-judgemental. If you feel you could benefit from this or would like to refer someone you work with or know that you think could benefit, make a referral to our service co-ordinator, or contact Linda Ngata on 03 382 6627 ext 202.